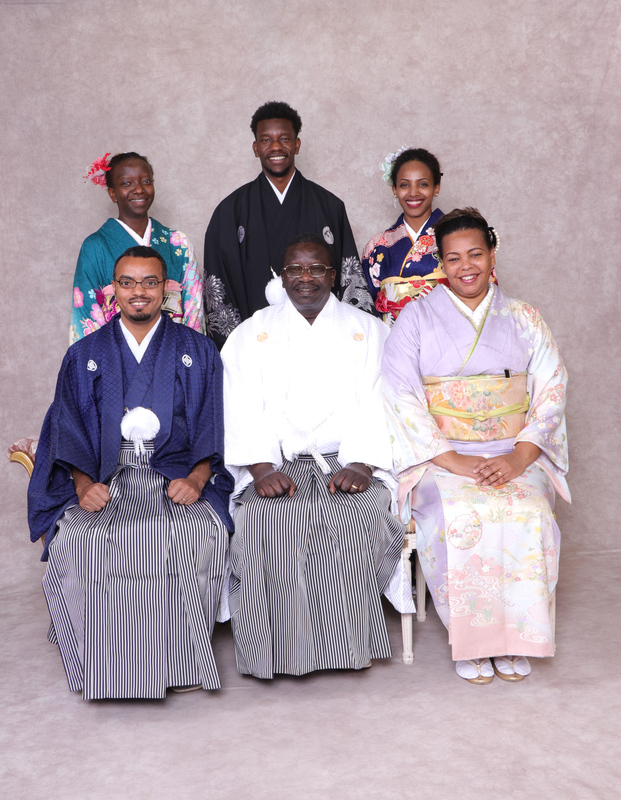 Ambassador of Ethiopia tried kimono. On December 25, I invited Mr. CHAM Ugala Uriat, Ambassador of Ethiopia, to my costume store. Mr. and Mrs. ambassador came with their children, the minister and the secretary. Mr. Abeba, a member of our NPO, played an important role as an interpreter. Preparing six sets of kimono was not an easy task, but all the guests were delighted to have this opportunity and they went to a Japanese restaurant for lunch with their kimono on. The ambassador made a request to continue sending wheelchairs to Ethiopia, naming Gambera, his hometown, as a place where the wheelchairs would be sent. To my joy, everything went on in a friendly atmosphere. I hope that today’s kimono experience serves as a nice remembrance of their stay in Japan. Mr. and Mrs. ambassador visited our monthly meeting in October, making a tour of our regular refurbishing work. The detail is from here. We loaded 90 wheelchairs on the ship. It left Tokyo on 13th and is arriving at Singapore on 23rd. Then the wheelchairs are transshipped onto the 2nd vessel and will reach Kolkata, India on 29th. We updated the Donation Record Graph. The detail is from here. We loaded 90 wheelchairs on the ship for Laos. We updated the Donation Record Graph. The detail is from here. 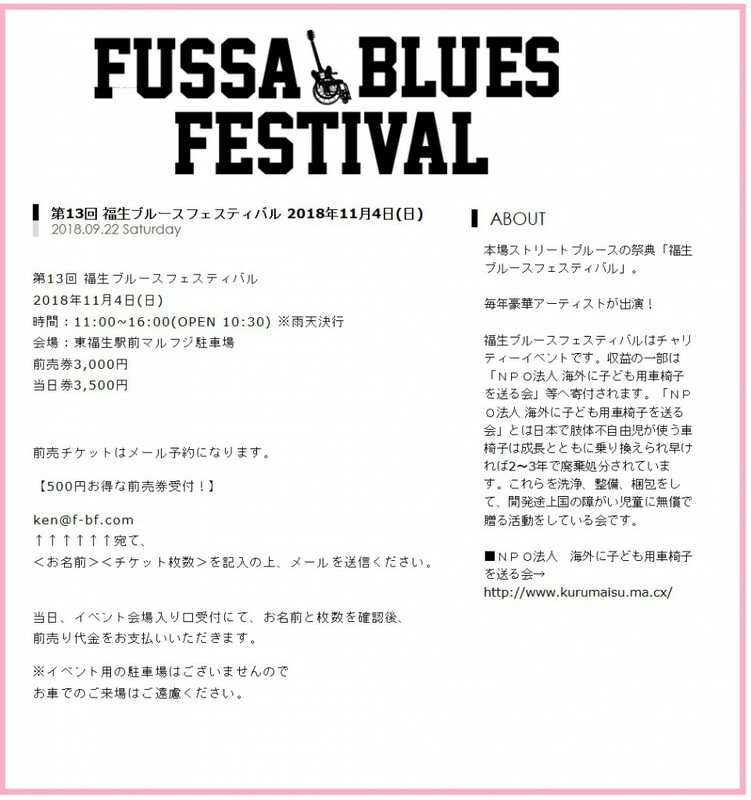 The annual Fussa Blues Festival was held. 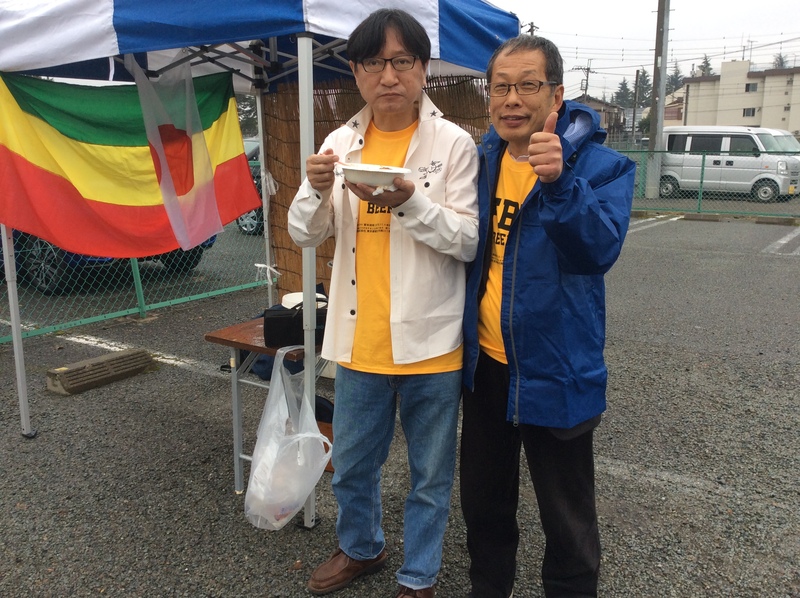 Fussa Blues Festival was held today, and a lot of people came in spite of the rain. I cooked Ethiopian curry for fifty people with Mr. Abebe and it was sold out in the morning. 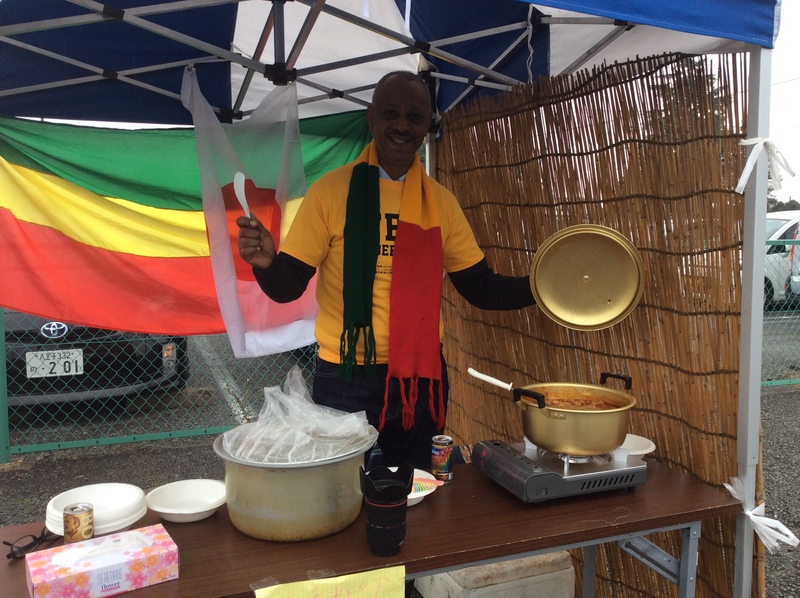 I was pleasantly surprised that the Ethiopian minister, Mr.Samuel , visited the festival. I am also grateful that many guests made a donation for our NPO. Last, but not least, I’d like to thank professional musicians for their nice and voluntary performances. 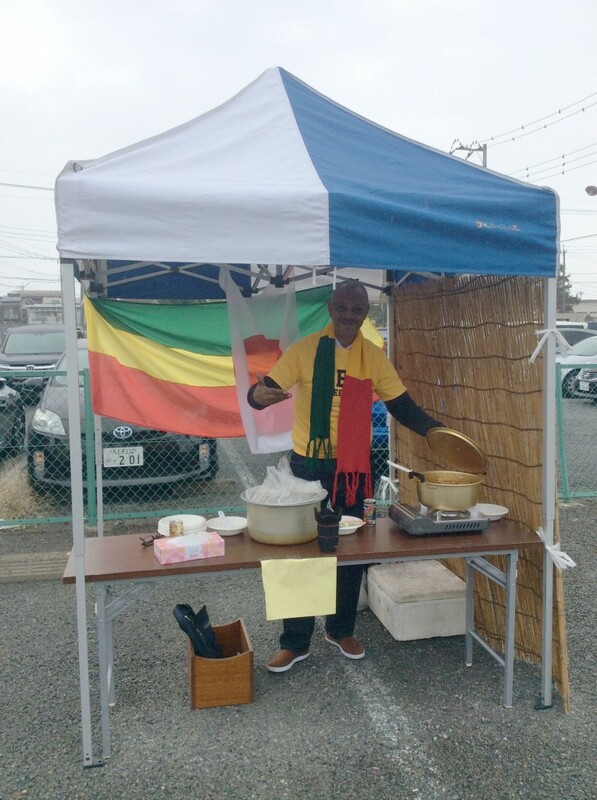 Mr. Abebe with Ethiopian curry. Photo with Mr. Ishikawa, owner of Ishikawa Brewery. 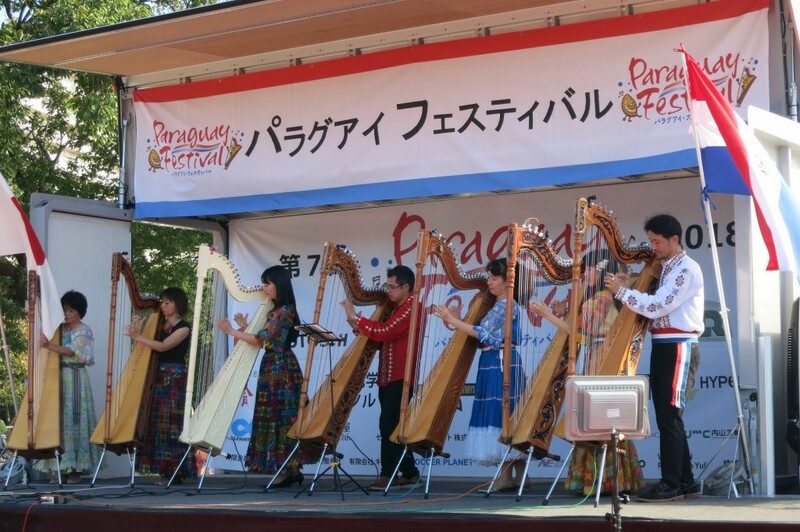 Oct. 7, I went to “Paraguay Festival,” an event held annually at Hikarigaoka Park, in my neighborhood. 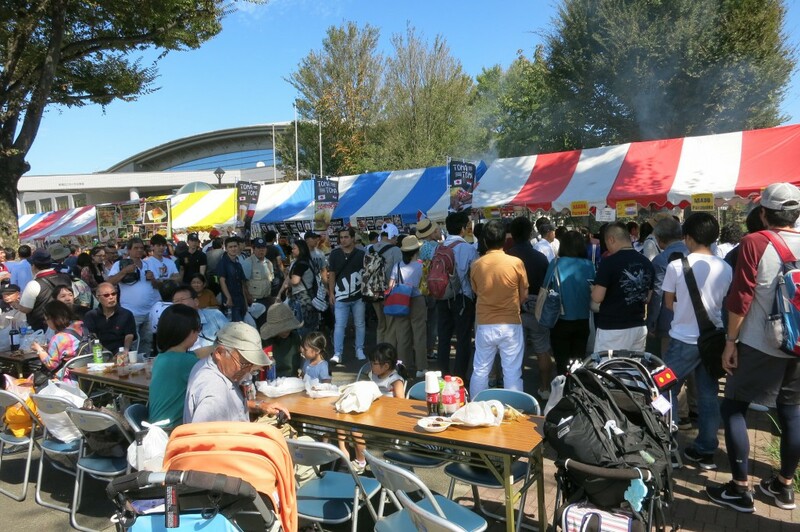 It was a hot day, but there were lots of people joining the festival. I visited the guests’ seats to find Mr. Toyotoshi, the former ambassador. He is now the president of Toyotoshi Group, which deals with selling cars, mostly Toyota. He says he’s still traveling between Japan and Paraguay. Mr. Raúl FLORENTÍN ANTOLA, the present amabassador, also recognized me as a volunteering member and both of them were very pleased when I told them about our plan to deliver 80 to 90 wheelchairs to Paraguay next year. Mr. Toyotoshi said, “The container will be 20-feet, then,” and Mr. Raúl said he’d like to join our monthly activity. As for the paperwork of the delivery, my job is to talk with the secretaries from now. 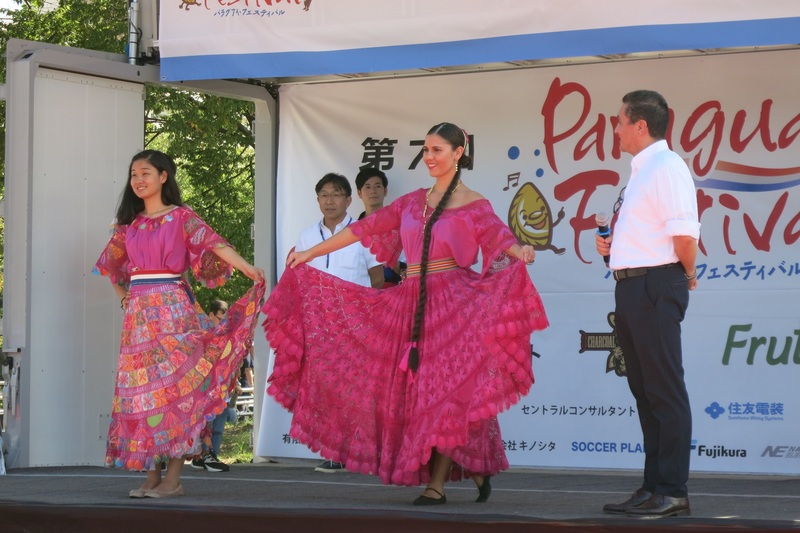 The festival was full of entertainments like Paraguay music and “ParaColle(by the emcee),” a show of folk costumes of the country. 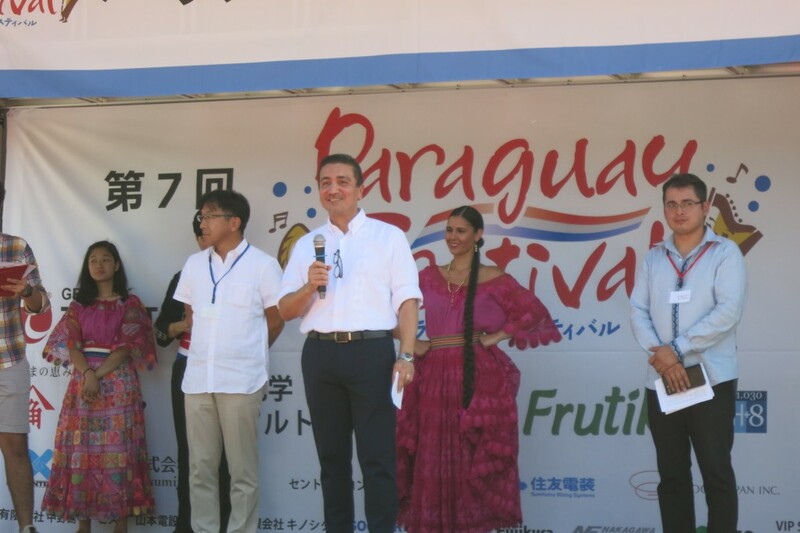 The ambassador said in his speech that this is the 40th year since JICA started its activities in Paraguay, and the representative of JICA made a speech, too. 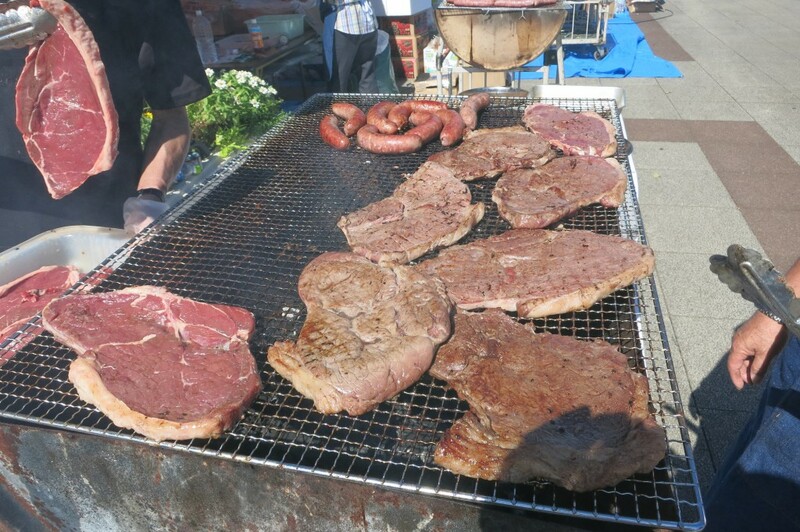 There also was smoke rising thickly from the barbecue booth, and so many people were waiting for nice and giant grilled beef for more than an hour in a long line. 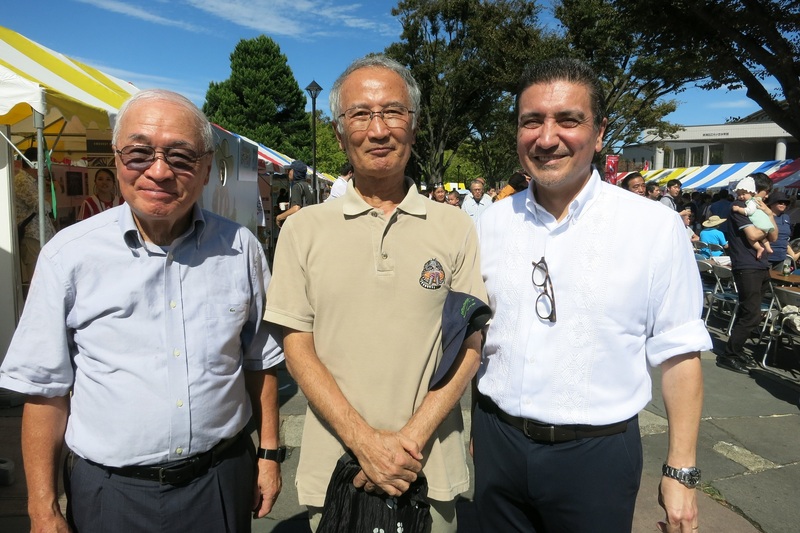 (Left) Mr. Toyotoshi, the former ambassador, Mr. Oda, Mr.Raúl, the present ambassador(from left to right). (Right) Mr.Raúl, making a speech on the stage. (Right) Mr.Raúl, introducing their folk costumes. (Right) A long line for giant beef. We loaded 86 wheelchairs on the ship for Thailand. The wheelchairs will arive at Bangkok Port in Thailand on September 14.